This site already has a question on the general relationship of video games and violence. But the recent Florida school shooting has raised a more specific set of claims that deserve to be addressed. "Why do we need a video game, for example, that encourages people to kill people?" he said. "Whether it's lyrics, whether it's TV shows, whether it's movies, I'm asking the producers of these products, these video games and these movies, ask yourselves what redemptive value, other than shock value, other than the hope you'll make a couple of bucks off it. At what price? At what price?" This seems fairly specific: it isn't access to guns that is the problem, it is, among other things, video games. "...those who perpetrate acts of violence in schools are more than three times less likely to play violent video games than an average high school student." Is there any evidence that violent video games have a more significant contribution to school shootings than access to guns? This is a very contentious issue, and both sides have numerous studies to cherry-pick to support their side. In a search of academic articles (as opposed to blog posts), I have come across a couple that I feel are relevant, well sourced and conducted, and impartial. Much of the research on violent video game use relies on measures to assess aggression that don't correlate with real-world violence. Some studies are observational and don't prove cause and effect. Parents can protect children from potential harm by limiting use of video games and taking other common-sense precautions. Other researchers have challenged the association between violent video game use and school shootings, noting that most of the young perpetrators had personality traits, such as anger, psychosis, and aggression, that were apparent before the shootings and predisposed them to violence. Finally, most researchers would agree that violent behavior is determined by many factors which may combine in different ways for different youth. These factors involve neighborhoods, families, peers, and individual traits and behaviors. Researchers, for example, have found that living in a violent neighborhood and experiencing violence as a victim or witness is associated with an increased risk for violent behavior among youth. Yet, this factor alone may not cause one to be violent and most people living in such a neighborhood do not become violent perpetrators. Similarly, researchers have found consistently that exposure to family violence (e.g., spousal and child abuse, fighting and conflict) increases the risk for youth violent behavior, but does not necessarily result in violent children. Likewise, researchers have found that first person killing video game playing is associated with increased risk for violent behavior, but not all the time. Yet, constant exposure to violence from multiple sources, including first person violent video games, in the absence of positive factors that help to buffer these negative exposures is likely to increase the probability that youth will engage in violent behavior. Despite disagreements on the exact nature of the relationship between violent video game playing and violent or aggressive behavior, significant evidence exists linking video game playing with violent behavior and its correlates. Although we are somewhat agnostic about the role of social controls like laws banning the sale of violent video games to minors, an argument against such social controls based on the conclusion that the video games have no effect seems to oversimplify the issue. A more in-depth and critical analysis of the issue from multiple perspectives may both help more completely understand the causes and correlates of youth violence, and provide us with some direction for creative solutions to this persistent social problem. Of note on the side saying video games cause violence, there is a lack of direct association to mass shootings except as a post hoc argument. 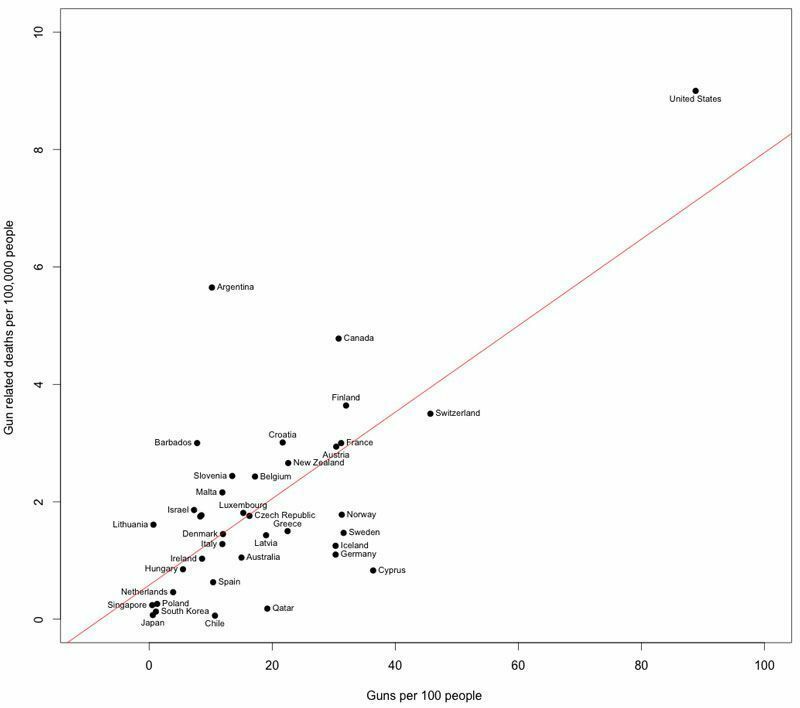 And in this entire debate, the notable outlier statistic is the ease and prevalence of guns in the US. 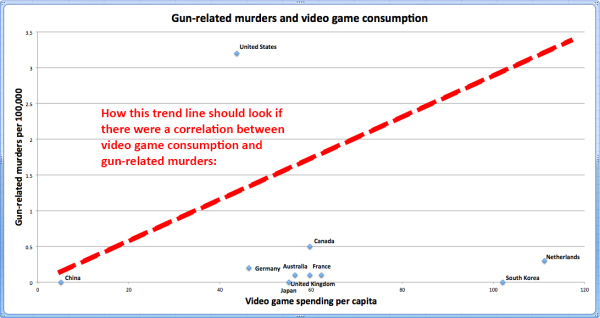 All other countries have similar (or even greater) rates of violent video game consumption, mental illness, or whatever excuse the pro-gun lobby wants to blame it on. 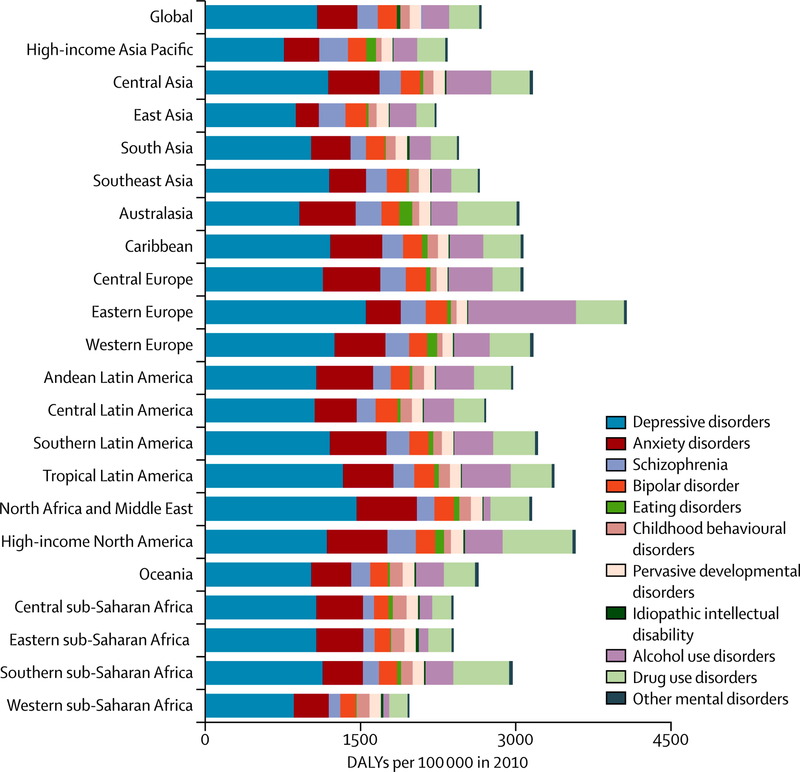 Source for the plot: a scientific paper on the Lancet one of the world's most prestigious scientific journals in medicine. Access to the paper is free, but it requires a registration on the Lancet's site. First-person shooter games with human targets did not exist before Wolfenstein 3D in 1992. There were some brave attempts (most notably Aliens and Operation Wolf) but nothing which allowed the player to freely explore the environment. (As pointed out by Tyler, there were earlier FPS games, but none which were violent.) Note that I'm making the assumption that the question centres on FPS and not on other games (e.g. martial arts games like Street Fighter) because there have frequently been claims that FPS games allow shooters to 'rehearse' violence. According to Grant Duwe at Minnesota Department of Correction, in the US there were 6 mass shootings in the 1960s, 13 in the 1970s, 32 in the 1980s, 42 in the 1990s, and 28 in the 2000s. The biggest jump clearly comes in the 1980s, but first-person shooter games simply did not exist then. Movies did exist, of course, and the 1980s was also the birth of video rental, as well as the video nasty. These have been available world-wide though, but only the US has such a frequency of mass shootings. It is certainly possible that it may require both violent imagery and access to weapons in order to achieve this result. However there was plenty of violent imagery in 1970s films (consider Straw Dogs, Death Wish, The Deer Hunter or Apocalyse Now) but without a corresponding jump in mass shootings. Commenters have suggested that there could still be a link with more factors. This cannot be disproved, because we can never disprove a negative, but straight correlation certainly shows no direct link. If other countries outside of war zones had frequent mass shootings, perhaps we could identify common features, whether that's events, laws or culture; but unfortunately the US really is the only First World country with this problem, so there is no way to test this. Time magazine proposes an alternative link. The rise in mass shootings is very closely correlated with the rise in the distribution of drugs. As drug gangs started acquiring military-grade weaponry, the police did the same, and private individuals realised they could also do the same. And with wider access to this weaponry, mass shootings became easier to achieve. Not the answer you're looking for? Browse other questions tagged united-states guns violence school . Are there more guns in America than people? Are perpetrators in mass killings more likely to play violent video games? Are top quartile teachers radically better than their colleagues? Are ladders more dangerous than guns?